Airborne Support Inc. and Fototerra Aerial Survey LLC announce joint venture to provide fully integrated airborne oil spill response services in the Gulf of Mexico. 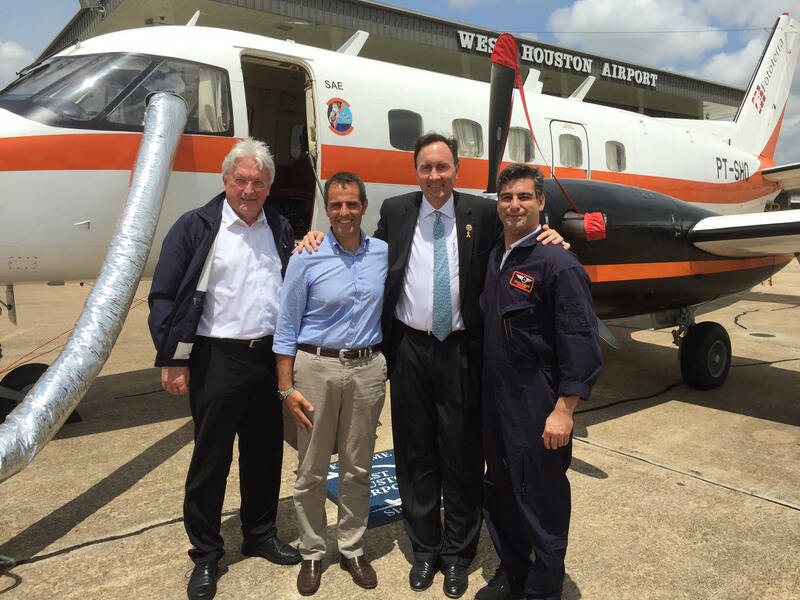 HOUMA, Louisiana and HOUSTON, Texas, Dec 4, 2017 - Airborne Support Inc. (ASI) and Fototerra Aerial Survey LLC (Fototerra) today announced a joint venture to provide integrated airborne oil spill response services in the Gulf of Mexico for the responder’s community and the oil and gas operators. The joint venture will capitalize on the strong reputation Airborne Support Inc. has developed as a leader for aerial dispersant application in the Americas and on Fototerra’s strength in aerial remote sensing with unique technologies for oil spill detection and analysis. The services for the joint venture will include aerial remote sensing, aerial dispersant application supported by remote sensing information, and GIS services. The joint venture will sell its services through Airborne Support Inc. and it will be focused initially in the Gulf of Mexico. ASI, is an aerospace and aviation services company based in Houma, LA, that specializes in support and facilitation of oil spill cleanup operations for governmental agencies and oil and gas industry. For more information, visit www.airbornesupport.com. 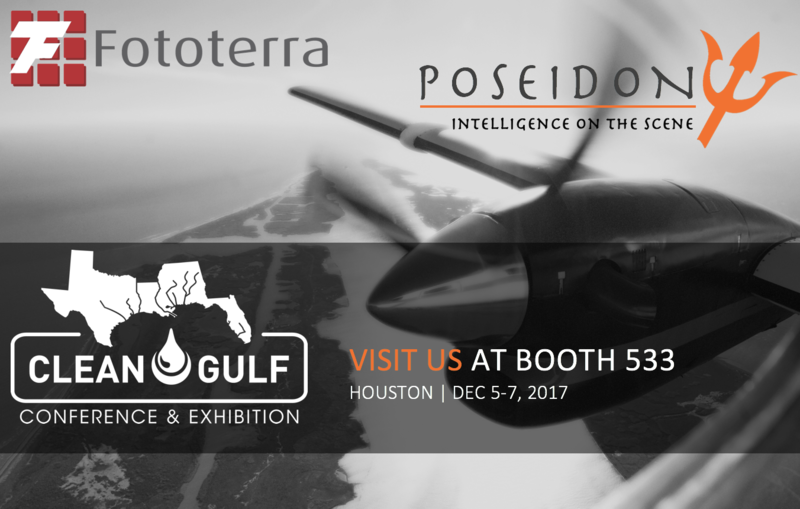 Fototerra, is an aerospace and service company based in Houston, TX that specializes in airborne remote sensing services, geographic data acquisition, high-resolution photogrammetry, hyperspectral data acquisition, and GIS applications. Fototerra operates in North and South America. For more information, visit www.fototerra-survey.com. 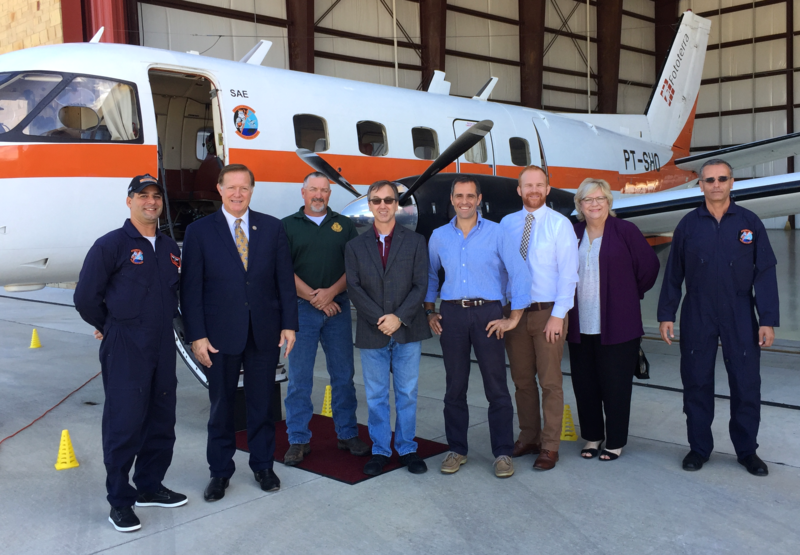 October 6th, 2017 - Texas GLO, Texas A&M University and Fototerra met Congressman Randy Weber, United States Representative of the 14th Texas District on October 6th, 2017 at Gulf Coast Regional Airport in Angleton, TX. Congressman Weber learned about POSEIDON and the Coastal Monitoring Pilot Project that the Team performed last summer. The project aimed to demonstrate the feasibility of a state-of-the-art proactive monitoring program that ensures readiness and increases the confidence that the Texas responder’s community is prepared with the most advanced oil spill remote sensing technologies. The pilot project is the first of this kind in the U.S. and confirms the Texas leadership on protecting the coastal ecosystems while supporting the vital energy industry. The Team also presented images and videos from hurricane Harvey assessment flights. Congressman Weber had the opportunity to visit POSEIDON and sit at the Mission Control Console. October 6th, 2017 - FOTOTERRA is an Exhibitor at the 27th Annual CLEAN GULF Conference & Exhibition http://2017.cleangulf.org/. During the Technical Session, we will present a Paper on Operational Airborne Oil Spill Remote Sensing (Track 5: Information/Response Technologies and Research). Come and visit us at booth 533! ... And… We’ll keep everyone posted for a big surprise. Click on the following link to have a complementary EXPO-only pass: https://lnkd.in/e2NpZ-q. Or click on the following link to have 100$ discount on the full conference: https://lnkd.in/eJmiKnG. August 31st 2017 - POSEIDON is out supporting the recovery efforts after Hurricane Harvey. At 16:00 on Thursday, August 31st, POSEIDON was the first fixed wing aircraft to take off from Sugar Land Airport after the flooding. The 2.5 hour flight along the coast down to Corpus Christi was eye opening. 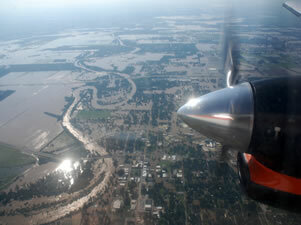 POSEIDON flew the coast, the Brazos River area, and numerous cities assessing damages and potential oil spills with its remote sensing technology. Several findings have been delivered to the responders. May 31st 2017 - Congressman Pete Olson, United States Representative of the 22th Texas District and Vice Chair of the House Energy Subcommittee, met with the Fototerra Team at the West Houston Airport, base of POSEIDON. Congressman Olson learned about POSEIDON breakthrough technology and discussed the technical features of the system and its unique capabilities to support the Oil and Gas industry during oil spill responses. POSEIDON is probably the most advanced aerial platform for oil spill remote sensing in the world. Congressman Olson had also the opportunity to visit the aircraft and sit at the Mission Control Console where the system is operated. Alessandro Vagata, Fototerra Director of Operations, said: "Fototerra was honored to have Congressman Olson visit and recognize the everyday effort of the team to protect the ocean and coastal ecosystems while supporting our vital energy industry." 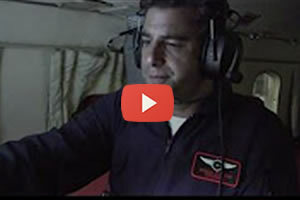 Witness POSEIDON in action in a typical oil spill response operation. Watch how the system manages the scenario, providing in real time the information the responders need to take tactical and strategic decisions to combat a spill. POSEIDON completed another successful campaign offshore. May 1st 2017 - Last week POSEIDON completed another successful campaign offshore. The project was organized by BSEE and NOAA in an effort to enhance the ability to detect and measure oil spills offshore. Researchers had the possibility to compare multiple remote sensing systems to determine how well each detects oil/water emulsion mixtures and measures oil thickness. Poseidon completed successfully three mission in day/night conditions acquiring, processing and disseminating oil spill data in real time them in a GIS based platform. Poseidon established high-capacity high-speed data link with two ground stations for all the duration of the flights, about 2.5hours and 300NM each. April 20th 2017 – Fototerra participation to IOSC 2017. - Technical Demonstration: The 2017 IOSC Technical Demonstration will highlight the ever-advancing state of the art of oil spill response by focusing on past, present, and future technologies. Guests will be able to learn about continuing improvements in Aerial Remote sensing and much more. - Technical Session: Session 23 Surveillance and Remote Sensing. We will present a Paper on Optimized Operational Airborne Oil Spill Remote Sensing. - We'll be with our partner Optimare at booth 606. - And ... come and see. Fototerra obtains IS-BAO Certification !! April 20th 2017 – International Standard for Business Aircraft Operations (IS-BAO) is designed to promote use of high quality operating practices for international business aircraft operations. The program centers on the Safety Management System (SMS) and leads the operator from establishing principles, to achieving an effective SMS, and eventually attaining a risk-averse, generative safety culture. Audits are conducted every two years and ensure conformance with the standards and recommended practices. More than 700 business aviation operators in 35 countries are currently IS-BAO registered. March 28th 2017 – Fototerra is participating Today and Tomorrow at the 2017 SCAA Annual Conference and Capitol Hill Visit. 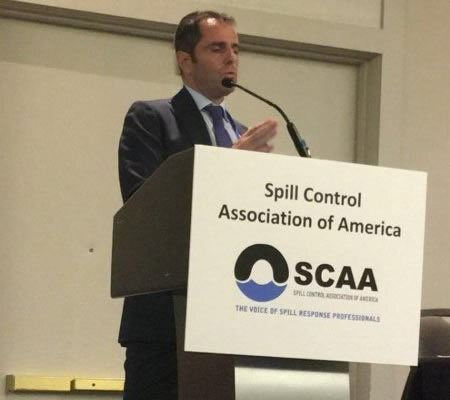 SCAA is the Spill Control Association of America (http://www.scaa-spill.org). SCAA represents the main Oil Spill Response Organizations (OSROs), spill response contractors, manufacturers, consultants, government institutions and corporations working in the industry. Fototerra is an active player of the 'New Technologies and Regulation for Remote Sensing' Panel.